5 Points Just shoot from cannon once at the beginning of the game! The Half Of Game! 10 Points Pass eighteen levels! The Silver Shooter! 10 Points Shoot two hundred times per game! The Golden shooter! 25 Points The Golden shooter! The Hero Of Time! 50 Points Play the game for fifteen minutes! The Winner Of The Game! 50 Points Pass all thirty-five levels! The GoD Of Achievements! 100 Points Collect all achievements in the game! The Golden Friend! 10 Points Secret Medal: Unlock this medal to view its details! 1500 Nodes 100 Points Secret Medal: Unlock this medal to view its details! 50000 Points 100 Points Secret Medal: Unlock this medal to view its details! Flying snack 10 Points Secret Medal: Unlock this medal to view its details! Granny award 10 Points Secret Medal: Unlock this medal to view its details! Baby prodigy 25 Points Secret Medal: Unlock this medal to view its details! Doomtastic 25 Points Secret Medal: Unlock this medal to view its details! Eumenides this! 25 Points Secret Medal: Unlock this medal to view its details! Genocide 25 Points Secret Medal: Unlock this medal to view its details! We meet again! 50 Points Secret Medal: Unlock this medal to view its details! Supreme Toy Master! 100 Points Secret Medal: Unlock this medal to view its details! 10 Points Kill 10 little zombies. Can't wait to kill? 5 Points Kill a zombie in the menu. Good choice! 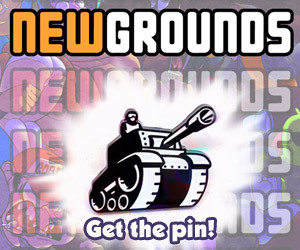 5 Points Click the Newgrounds-logo to visit Newgrounds.